Thule Rear Mounted Bike Racks fit onto the car boot of hatch backs, saloons, estate cars and MPVs. 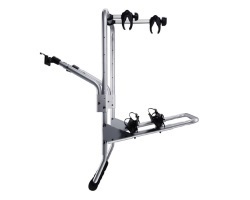 Generally this type of bike rack is cheaper than towbar mounted bike racks, however they are not a universal fit so you must use our vehicle compatibility checker. If your vehicle has a rear spoiler then a rear mount system cannot be used. These bike racks are available from stock all year round - fast mail order delivery available or visit our showroom and collect. 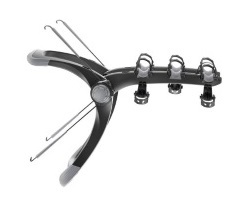 A lightweight and basic rear mounted bike rack with a 3 bike capacity.  Fit's hatchback and saloon cars. 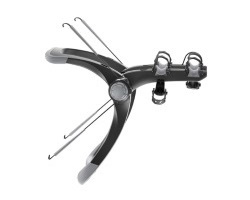 The Thule ClipOn is a strapless bike rack that mounts on the rear of the car using a simple mounting system. Available in two models (9103 & 9104), one for estate cars and one for hatchbacks. Both models can carry 3 bikes. Available in two versions (9103 and 9104) having different tube diameters fitting different car models. Fast fitting rear mounted bike carriers for estate and hatch back cars, designed to transport 2 bikes. High position of the bikes does not block the rear lamps or the registration plate for most vehicles. Available in two versions (9105 and 9106) having different tube diameters fitting different car models. A high standard rear mounted bike carrier with great flexibility designed for vans, minibuses and MPVs. 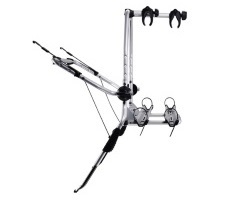 Carries 2 bikes as standard but can take up to 4 bikes with the additional 3rd and 4th bike adapters. 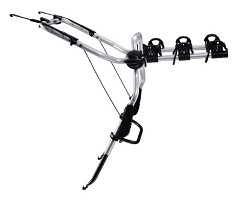 Thule's most secure rear mounted bike carrier with a 2 bike capacity. Fits a wide range of cars but please note that this is not a universal fit and you must check that it is suitable for your vehicle. 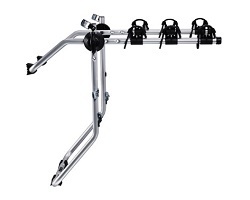 Thule's most secure rear mounted bike carrier with a 3 bike capacity. Fits a wide range of cars but please note that this is not a universal fit and you must check that it is suitable for your vehicle.